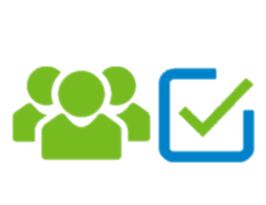 Distribute, review, collaborate & approve documents. From within Word identify team members, restrictions (e.g. prevent printing), request reviews or approvals & due dates, whether to collect document analytics, etc. Team members receive notifications with a link directly to the document. External systems integrated with SavvyDox may be used to originate and seamlessly store subsequent document revisions (e.g. CRM, ERP, CLM, etc) . Members can access & work on the document from any device (even offline with SavvyDox apps). Documents security is guaranteed as no one can access document outside of SavvyDox apps. Authors can also disable printing, limit text copying & revoke access at any time. Threaded conversations can be restricted to the author, specific members, or involve everyone. Private personal notes can also be added & maintained. Automatic collection of analytics (e.g. pages read), enhances compliance and provides management insight and visibility. Within a document, quickly locate changes, notes & responses. Resolve & respond to notes, amend document, save & redistribute the revised document. Revisions are also pushed to originating integrated external system (e.g. CRM, ERP, CLM , etc). Easily compare or switch between document revisions. Members receive notifications and real time alerts of document revisions, assigned tasks, notes added, etc. From alerts, timelines, navigation panels everyone can quickly locate and access (single click) revisions, notes & responses. Reject or complete reviews & approvals with a simple click at the top of the document. Leverage information collected to audit and improve document collaboration processes. Ensuring secure, effective document review, communication and collaboration is challenging and made even more difficult with tight deadlines and members with conflicting schedules, offsite & offline. Review & collaborate your way, from any device, offsite or offline using word, browser, desktop or mobile application. Distribute & collaborate all from within Word. No need to download & maintain any software. Collaborate with author, selected individual(s) or everyone (including from within Word). Create, manage & maintain (between revisions) your own private personal notes and activities. Out of box review and approval workflow. Complete repository of all document activities and revisions. Easily switch & compare (without the need for Word). 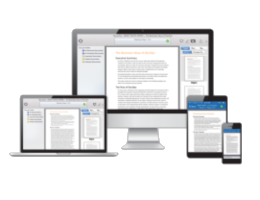 Quickly identify & access document changes, notes & response activities. Instant notification takes users directly to particular document revisions, notes and responses. Timelines, tasks & document dashboards provide invaluable summary insights. Quickly locate document changes, notes, responses & activities. Categorize documents or create smart collections using tags to automatically group documents for quick access. 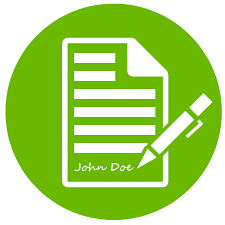 Change or delegate document authoring or create collections consisting of multiple documents with different authors. Non intrusive collection of information on pages being viewed, documents reviewed, approved, where are the delays, bottlenecks, etc. Restrict access and functionality on documents (copying, printing, etc). Expire documents and revoke access to prevent document leakage. Deployment in a multi-tenant public cloud, hybrid cloud, single-tenant private cloud, or traditional on-premise deployment. Access and retain information within your existing systems (CRM, ERP, CMS, CLM, etc). VAR / OEM partners are able to white label, brand and embed SavvyDox within their existing solution offerings. SavvyDox is a (r)evolution in document distribution, review, collaboration and approval. Here is how it differs from other platforms and potentially enhances those platforms. No nested notes, responses or discussions with author only or selected recipients. Lacks navigation views to easily identify and view changes, insertions, notes, responses, etc. ERP, CRM, CLM and other platforms typically offer limited document collaboration functionality if any at all. Platforms that support collaboration generally implement it via online forms rather using Microsoft word. Result is limited formatting or compatibility issues when exporting it to word, requiring the need to learn new tools, lacks offline support, etc. Lacks sophisticated document insights such as who viewed which pages. Expose document structures such as fielded values or clauses that are often negotiated. ERP, CRM, CLM and other vendors can white label SavvyDox, brand it and embed the software into their platforms to offer enhanced document collaboration functionality. ECM systems (such as OpenText, SharePoint, Alfresco, Oracle, etc) are primarily focused on content and record storage, access and retention management rather than the content creation and collaboration. SavvyDox is a natural complement to ECM, providing a simple, elegant and comprehensive out of box document collaboration functionality, adhering to ECM access, storage and retention rules. EFSS systems (such as Box, DropBox, BlackBerry Workspaces and others) are primarily focused on file sharing rather than the content review, collaboration and approval. SavvyDox is a natural complement to EFSS, providing a simple, elegant and comprehensive out of box document review, collaboration and approval functionality. Documents approved within SavvyDox can be pushed to EFSS systems for general storage and sharing. Collaborate, review and approve faster and smarter with any of the our editions.